Let’s be honest here: Is there any way I can even attempt to come close to yesterday’s Cider Mill Doughnut Bread Pudding? Many moons ago, I was watching a little Saturday morning Cooking Channel and watched Ina Garten whip up some of her famous ranch dressing. So I did what any reasonable human being would do: I got on the internets, found the recipe and pinned it… where it sat on my Make It board for a few weeks before I decided I’d try it. I’ve made it twice since – once with my big ole food processor, and once using my mini processor to grind up all the herbs and garlic. As Tina was completely flabbergasted that I’d pull out my big, cumbersome food processor to make ranch dressing, I assume you’d go ahead and pick the mini too without my suggestion. But just in case, USE A MINI and then throw it in the dishwasher. Unless you’ve got People To Do That For You, like Ina. How easy is that? In a small food processor, whirl together the onions, basil, lemon juice, dijon, olive oil, garlic, salt and pepper until good and combined. 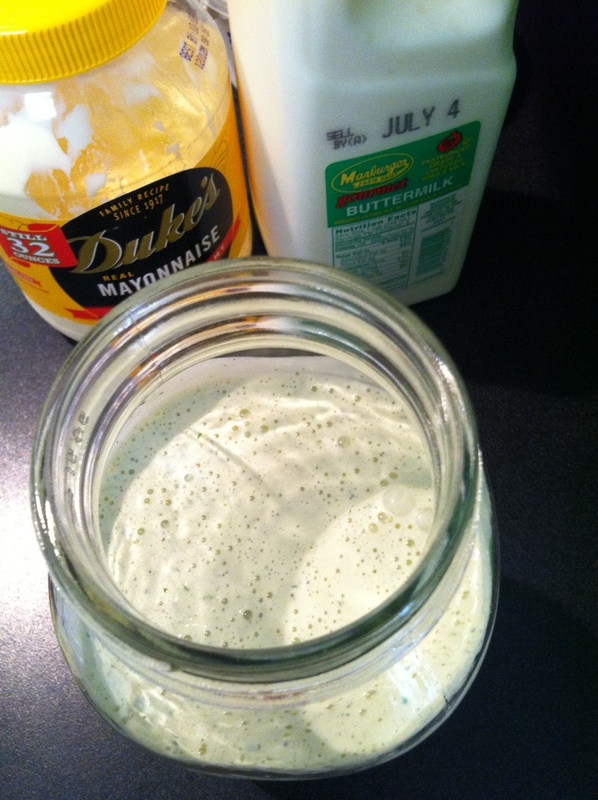 Add mayo and greek yogurt to a large mason jar, then add herb mixture, and shake to combine. Add in buttermilk, shake again to combine. 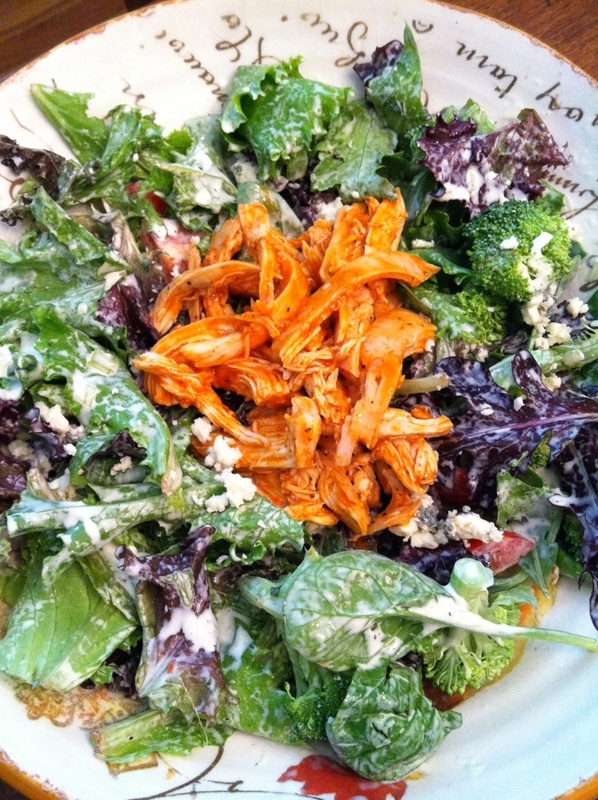 toss some rotisserie chicken with some buffalo sauce and you’ve got yourself a party. Y’all, this makes a TON of dressing and the next time I make it, I’m going to halve the recipe. It kills me to throw out all the herby goodness, but there is just no way our family of 2 can eat it all in a week. You’re still thinking about that bread pudding though, aren’t you?